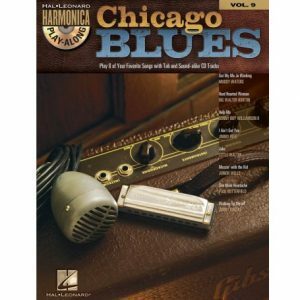 Play-Along Tracks for developing your rhythm & lead blues harmonica skills. 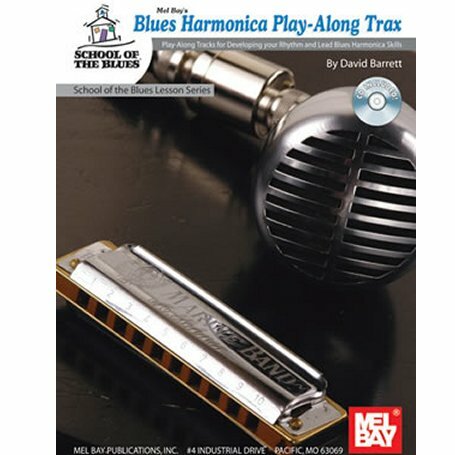 Blues Harmonica Play Along Trax with in the School of the Blues Lesson Series gives a great selection of tunes in different keys, styles and tempos to play along to. 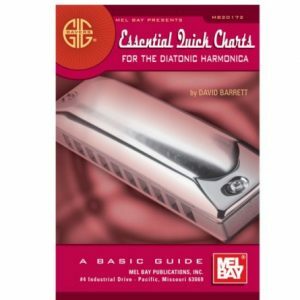 Harmonicas needed to play the music in this book are, A, Bb, C, D, Eb and F. Notated examples for the ten hole diatonic harmonica are provided to give you an idea of how you can approach accompanying a vocalist or instrumentalist. 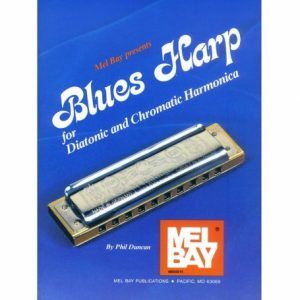 This book is complimented with a 15 track CD recording of all examples.